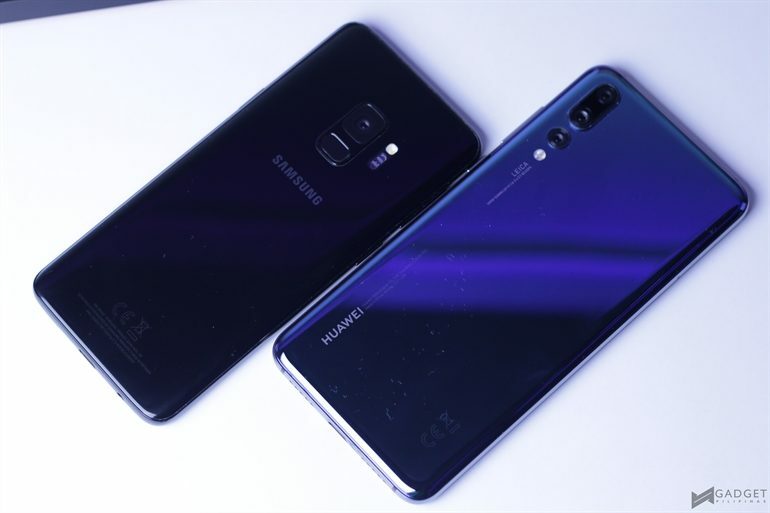 Huawei P20 Pro vs Samsung Galaxy S9: Which Brings Better Value for Money? With the avalanche of smartphones that are coming out today, it’s always important for us, consumers, to know which ones are actually worth the hard-earned money we’re paying for them. What’s value to you? Our own definition would be: a phone that excels in one or two major things and performs satisfactorily with the rest. No device is perfect. There will always be compromises. So, as consumers, we need to find out which one has the least of that. 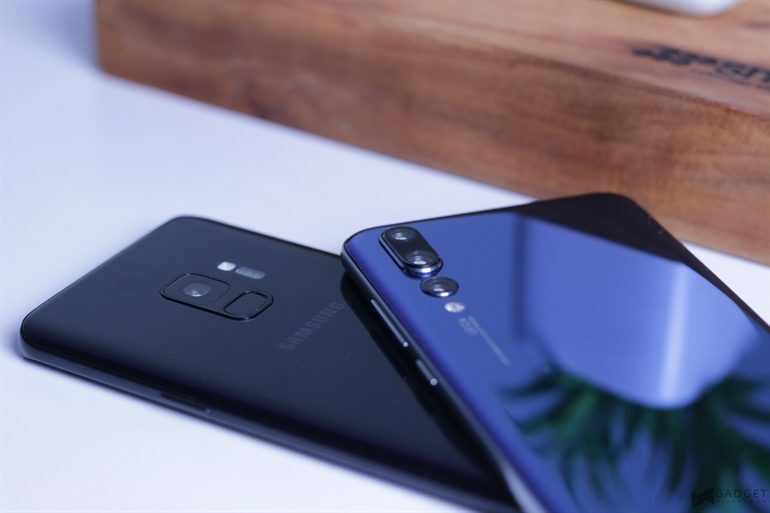 Today, we’re pitting two of the most talked about flagships with each other – the Huawei P20 and the Samsung Galaxy S9. Each is relatively new to the market and boasts the highest of numbers that you’d see on paper. What’s even more interesting is that these two share a common factor: AI or Artificial Intelligence. 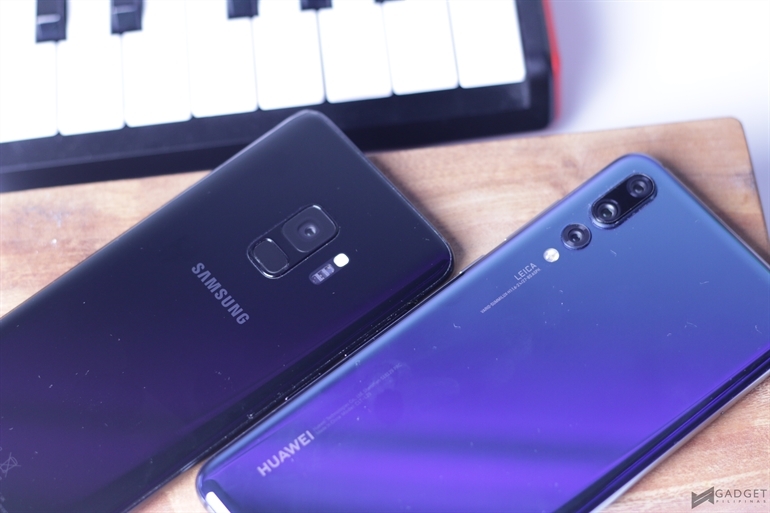 For what it’s worth, we would have pitted Huawei P20 Pro against the Samsung Galaxy S9+, but we chose to compare it to a lesser variant due to the merits of price and value. Launched just last month, the Huawei P20 is the result of the company’s continuous pursuit of excellence in photography. With the phone’s new triple Leica camera system that utilizes RGB, Monochrome, and Telephoto cameras, it is set to capture photos with outstanding quality in any lighting condition. There’s even feedback that it’s comparable, and at times better than a DSLR. Remember that Metro Magazine Cover with Pia Wurtzbach? That was shot with the P20 Pro. 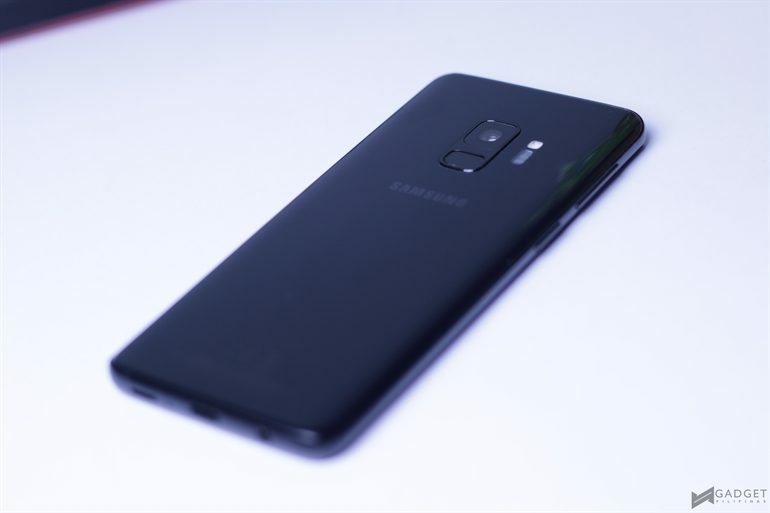 The Samsung Galaxy S9 on the other hand, is always certain to be a crowd favorite as far as the question of “what device are you waiting for this year” is concerned. And it’s not hard to see why. Samsung’s flagships have always been about being a good device in every aspect (or so it tries to be). While the S9 doesn’t have the flair of having three cameras that work together, Samsung thinks that a single lens is enough, and relies on other features that make the phone better as a whole, instead of just making it a great camera. Their principle of AI is also focused on their intelligent digital assistant, Bixby, with features such as real-time translation, Bixby Vision, and more. The P20 Pro features a new design that veers away from its predecessor. 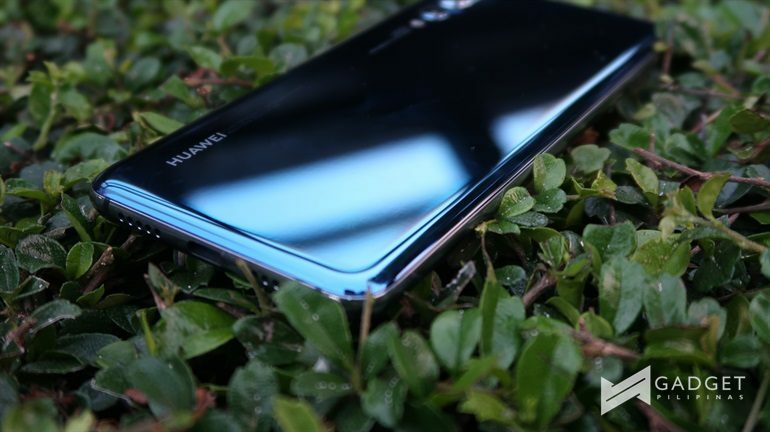 The most noticeable of these changes would be the extremely glossy back panel that enhances it’s premium vibe, along with the rear cameras that are now in a vertical position. The S9, on the other hand, doesn’t veer much from its predecessor’s design. In fact, you can place them side by side and hardly notice a difference. Like the P20 Pro, it also uses a glossy back panel albeit a smudge and oil magnet. As always, the sides are slightly curved, and the top and bottom bezels are kept to a minimum. P20 Pro’s buttons are all located on the right side, while the S9’s Power Button is on the left, while the volume rocker and the dedicated Bixby button is on the right. Both use Type-C ports. 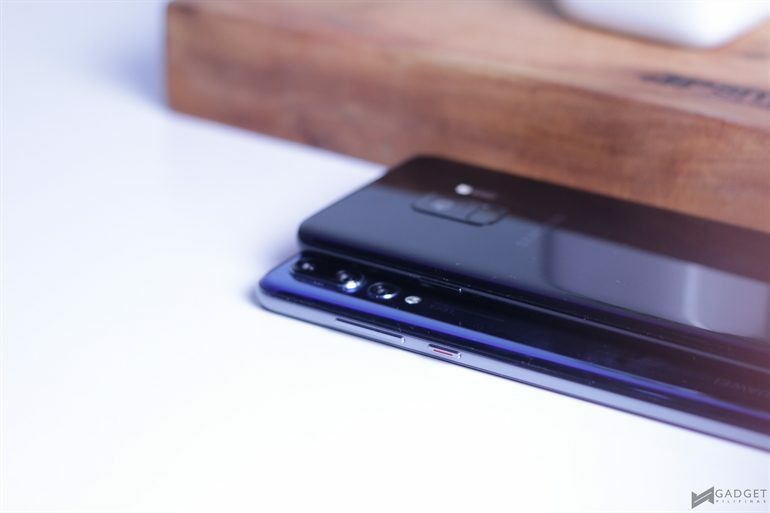 The P20 Pro doesn’t have a headphone jack, so you’ll have to use a supplied dongle to use your favorite audio gear unless you’re okay with going wireless. 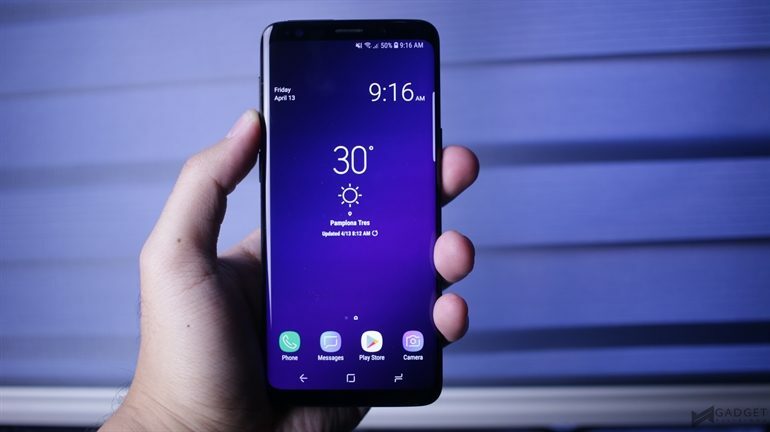 The S9 uses on-screen buttons for navigation and has the fingerprint sensor placed at the back, while the one on the P20 Pro has been relocated to the Home Button. I’m not really sure why they did this, but personally, I prefer it to be at the back. Huawei P20 Pro has a 6.1-inch FHD+ display with a resolution of 2240 x 1080, which is very common in today’s phones. It also uses an OLED panel which allows the device to be thinner. To give you more room, it makes use of a notch to house the front camera along with the other sensors. Not something everyone likes, but these things have to be placed somewhere, right? Meanwhile, the Samsung Galaxy S9 has a smaller 5.8-inch screen but with a higher resolution of 2960 x 1440 pixels. Its Super AMOLED display also allows for better contrast and higher refresh rates. Unlike the P20 Pro, it leaves some bezel up top, to house components, which means a more free-flowing display without any interruptions. Both of these devices can intelligently adjust their screen resolution to save power. 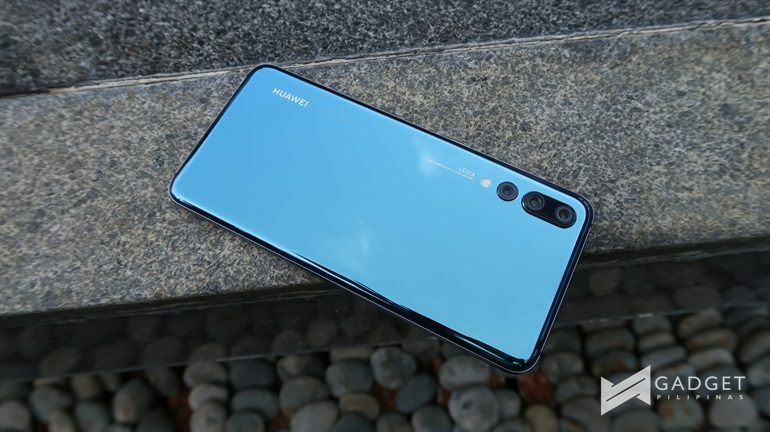 It’s also important to note that despite having fewer pixels, the Huawei P20’s display still looks vivid, detailed and sharp. The Huawei P20 Pro has 128GB of built-in storage (of course, less in actual), but lacks microSD card support. What that means is in the event that you run out of storage, you’ll have no choice but to back up your files somewhere. The Galaxy S9 on the other hand, only has half of that, but has support for expandable storage. There’s also a catch there, as the read and write speed from an external card is slightly slower compared to using onboard storage. But we doubt that you’ll actually notice that in real world experience. While the Kirin 970 on the P20 Pro scores less than the Exynos 9810 on the S9 as far as AnTuTu scores go, it’s still quite a fast chip, and can handle graphics intensive games like Final Fantasy XV Pocket Edition, and Real Racing 3 with no problems. I don’t think you’ll go wrong with any of the two. However, if we speak of bare benchmark scores is concerned, it is obvious that Exynos 9810 outperforms Kirin 970 by around 27,000 more via Antutu. Of course, this is where things get really really interesting. The P20 Pro has perhaps, the most advanced optics in any phone to date. That’s thanks to a cutting-edge triple Leica camera system that uses a 40MP RGB sensor, a 20MP monochrome sensor, and now, a third 8MP telephoto sensor. What’s even mind-boggling is that they’ve somehow managed to make it so that these three can seamlessly work together to produce photos with jaw-dropping quality. The phone’s AI capabilities also come into play, as the camera can now intelligently detect over 16 categories of subjects, and then automatically adjust the camera settings to match. Not only that, you also get AI stabilization, which also works its magic when you’re using Night mode. This allows you to take a long exposure shot of about 4 seconds, without having to use a tripod. The camera is also capable of 3x Lossless Zoom, 5x Hybrid Zoom, and 10x Digital Zoom. The S9 on the other hand only has a single 12MP rear snapper. But here’s where this phone shines. It has a feature called Dual Aperture, which allows you to switch between two apertures depending on the lighting condition. In broad daylight, you can use f/2.4 and then switch to f/1.5 when there’s less light. Like the Triple Leica Camera on the P20 Pro, this is also an industry-first. The core strength of Huawei’s current flagship is the AI functionalities that sit at its core. If you put it at “autopilot” while capturing precious moments in your life, you’ll be surprised with the depth of its AI photography capabilities. Its AI, while still limited at photography and hardware resources management, has tremendously matured based on how it performed. However, if you ask us, the Huawei P20 Pro is not an indomitable gadget for photography and videography, but a highly capable mobile alternative. During our trip to Japan last April, we used Huawei P20 Pro as the only device to capture photos and videos. Watch the video below and tell us which frames were taken using Huawei P20 Pro or Canon G7X Mark 2. The Huawei P20 Pro clocked in at 10 hours and 17 minutes in our recent PCMark battery test, which is an excellent number. The Samsung S9 on the other hand, got 8 hours and 12 minutes, which is still pretty decent, considering it has a higher resolution display. Both also support fast charging. Unfortunately, the P20 Pro lacks wireless charging, which the S9 fully supports. Not exactly something everyone uses. But for PhP45,000, you’d expect something like that to be on-board by default. Priced at PhP44,990, Huawei P20 Pro packs a bunch of features that make it seem pricier (in actuality) than the Samsung Galaxy S9. Camera, build, overall performance and AI implementation (on photography, videography and resources management) outweigh its lack of WQHD+ display, memory expandability, and fluid software performance. If there’s one clear winner here based on the merit of “value for money”, the it’s obviously the Huawei P20 Pro. Huawei is better for the money and performance but samsung might be more reliable. A less performance unit is a lot better than a broken high performance phone.